SoftDev Incorporated (SoftDev) today announced that it has been re-appraised at Level 3 of CMMI Institute’s Capability Maturity Model Integration (CMMI)®. The appraisal was performed by Dan Payne with Acme Process Group. An appraisal at maturity level 3 indicates the organization is performing at a “defined” level. At this level, processes are well characterized and understood, and are described in standards, procedures, tools, and methods. The organization’s set of standard processes, which is the basis for maturity level 3, is established and improved overtime. The SoftDev family is pleased to announce and welcome our newest team member, Michael Kennedy, as our Chief Data Scientist. Michael Kennedy joins SoftDev with more than 20 years of experience in projects supporting the Centers for Medicare & Medicaid Services (CMS) and several State Medicaid system implementations. With successful application of data-driven, long-term strategic planning, Michael is a welcome addition to SoftDev’s customers and corporate growth. Prior to joining SoftDev, Michael expertly served as a Program Manager, Project Manager, Medicare and Medicaid SME, and Business/Technical/Data Analysis SME supporting CMS’ initiatives, practices and systems implementation and maintenance of CMS IT practices and systems. In addition to writing policy, developing systems, and implementing business process for CMS, he has also developed socialization of information, communication process and implemented training for CMS and its employees and contractors. Michael also worked for the State of Mississippi as Deputy Chief Information Officer on 18 Medicaid System upgrades, the State of Iowa on the Integrated Eligibility enterprise system for the Medicaid program, the joint commission for Federal and State funding, and the State of Ohio MMIS, DSS, and claims system updates and integration, including the development and rollout of a Web Portal that allowed facilities and patients to access and view Electronic Health Records, the MMIS upgrade, and the Decision Support System to further each of those efforts. He is currently a doctoral candidate for statistics and mathematics, with an emphasis in leadership. He holds certifications in Data Science, Project Management Professional (PMP) and Certified Scrum Master (CSM). SoftDev is pleased to announce the promotion of Melanie Marsh from Capture Manager to Director of Business Development effective October 1, 2018. Melanie has been with SoftDev for nearly four years, starting as a consultant and officially joining the company as Capture Manager. As Director of Business Development, she will be responsible for the management and execution of the full Business Development life-cycle in support of the company’s vision, strategy and growth. During her tenure at SoftDev, Melanie has implemented business development protocols and roadmaps that have played a key role advancing SoftDev’s visibility to customers and partners and securing contract awards. For example, in 2018 alone, Melanie has led efforts resulting in four contract awards, including a CMS HUBZone sole source contract, CROWN Data Discrepancy Support; a U.S. Census Bureau Health Informatics Expert contract; the CMS Measurement and Instrument Development and Support (MIDS) IDIQ contract; and the NITAAC CIO-SP3 HUBZone Ramp On GWAC. She was also instrumental in SoftDev’s submission for our 2018 FedHealthIT Innovation Award. Melanie is frequently recognized by our partners for her outstanding performance and dedication. SoftDev today announced that the Centers for Medicare and Medicaid Services (CMS) awarded SoftDev a much coveted spot on the Measure Instrument Development and Support (MIDS) Indefinite Delivery Indefinite Quantity (IDIQ). With this win, SoftDev will expand our portfolio of services within CMS as we act to support task orders to develop, test, refine, revise, maintain, implement, and publicly report care measures. Our expertise in electronic health records and data services management within CMS will empower SoftDev to bring great value to MIDS as a small business prime. “SoftDev is anxious to get to work on MIDS. As a subcontractor on the previous MIDS iteration, we are honored to move into our new role as a prime and to continue to perform in close partnership with CMS and our much-valued industry partners,” said Robin Kaiser, President at SoftDev. 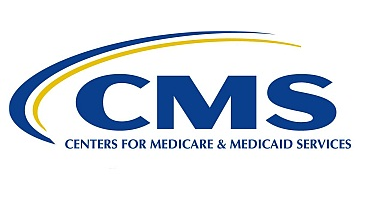 The MIDS IDIQ provides a vehicle to objectively evaluate and promote quality of care within the Federal quality reporting programs by aligning with the Measures Management System (MMS) Blueprint, a comprehensive and structured process for developing and maintaining evidence-based clinical quality measures. This highly technical work requires the expertise and services to perform quality measurement program support activities within a highly structured process. Data collection, analytics, management, and outreach will all serve as key components within task order activities. Under this award, SoftDev will gain added expertise and understanding regarding the clinical quality measures as we act to support meaningful measures, patients over paperwork, and measures that enable greater impact on issues impacting the nation such as the opioid epidemic. The contract is for 10 years, including the 5 year base and one option period. Inc. magazine today revealed that SoftDev is No. 1417 on its 37th annual Inc. 5000, the most prestigious ranking of the nation’s fastest-growing private companies. The list represents a unique look at the most successful companies within the American economy’s most dynamic segment—its independent small businesses. “Being on the Inc. 5000 list for two consecutive years with an improved ranking [from 3961 to 1417] is a significant achievement. I am extremely proud of SoftDev’s growth due to the tremendous performance of our employees” said Robin Kaiser, SoftDev President. SoftDev will look to continue its move up the list in 2019 and is looking to recent and expected contract successes as well as planned business development activities to make that happen. SoftDev solidifies its placement as the End Stage Renal Disease (ESRD) Program data quality expert with a second HUBZone sole source award for the CMS CROWN Data Discrepancy Support (CDDS) contract. As CDDS moves into a new phase under the Centers for Clinical Standards and Quality (CCSQ) Information Services Group (ISG) in this third iteration, SoftDev is excited for new opportunities to streamline efforts and identify areas for innovation to better serve CMS and the ESRD community across our nation. “When writing the original white paper that spurred the creation of CDDS, we knew that this project would bring value to the ESRD Program. Reflecting over the past eight years and the work we have done to date, we are proud to know that we were right. Now, with this third iteration, we are more motivated than ever before to continue to serve and focus on reducing provider burden while, ultimately, ensuring ESRD patients’ access to care. With ISG’s guidance, we expect to achieve more great things under CDDS,” stated Robin Kaiser, President at SoftDev. CDDS supports the ESRD user community which submits data electronically to CMS CROWNWeb. CDDS supports the ESRD Network contractors, dialysis providers nationwide, the QualityNet Help Desk contractor, and the National Renal Administrators Association (NRAA) Health Information Exchange (HIE) by performing case work to resolve and close Tier 3 help desk tickets that require specialized assistance to correct discrepancies in CROWNWeb data submissions. CDDS is responsible for ESRD data governance, data quality, data validity and reliability, and measurement and analysis reporting for the Quality Incentive Program and the Dialysis Facility Compare public reporting website. ESRD Patient populations are increasing by 5% and the number of dialysis providers increase by almost 7% annually, which impacts the burden of data submissions for dialysis providers to increase proportionally. CMS’ annual implementation of additional clinical quality measures has the potential to increase the volume of ESRD patient, clinical and facility data exponentially, making CDDS a project with critical importance within CCSQ. SoftDev today announced that the North Carolina Department of Transportation (NC DOT) approved SoftDev’s certification as a Disadvantaged Business Enterprise (DBE) and Woman Business Enterprise (WBE). 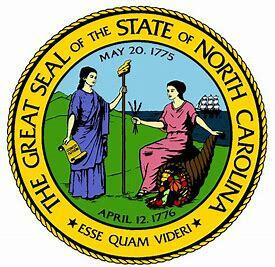 “SoftDev is excited that we can add this new DBE/WBE certification in conjunction with our Historically Underutilized Business (HUB) certification to pursue work with the State of North Carolina and its municipalities. As a North Carolina-based company, we look forward to bringing value through innovative IT services to our home state,” said Robin Kaiser, President at SoftDev. SoftDev announced today that the National Institutes of Health (NIH) Info Tech Acquisition and Assessment Center (NITAAC) awarded SoftDev a contract on the Chief Information Officer – Solutions and Partners 3 (CIO-SP3) Small Business Government-Wide Acquisition Contract (GWAC) under the HUBZone Group. “SoftDev is thrilled to be selected in the highly lucrative HUBZone group on this contract vehicle and also selected for all 10 Task Areas. We have high expectations that federal agencies will utilize this vehicle as a source for HUBZone competition to help bolster their HUBZone small business goals,” said Robin Kaiser, President at SoftDev. SoftDev today announced that the U.S. Census Bureau awarded SoftDev a GSA Schedule 70 order for expert Electronic Health Record (EHR) services. “SoftDev is excited to expand our efforts as a federal partner to serve the Census Bureau to provide innovative, cost effective Health IT solutions to meet the Census Bureau’s mission,” said Robin Kaiser, President at SoftDev. The Census Bureau is expanding its data acquisition, processing and provisioning activities to support multiple existing and emerging projects, including one high-visibility emerging project that expands research using EHRs. The Census Bureau plans to build an infrastructure with the capability to ingest, process, and track EHRs initially from health information exchanges (HIE) and then expand to other organizations (non-HIE) for electronic health information. Under this award, SoftDev is excited to provide support in understanding the EHRs so as to ensure the Census Bureau’s infrastructure has a logical structure and associations. Working with the HIEs and non-HIEs, SoftDev will gain added expertise and understanding regarding the content, format, and quality of health records. SoftDev will also increase our ability to identify challenges to ingesting health records into one infrastructure while ensuring the guidance and advice we provide includes industry-standard toolkits and compliance to health care standards. The contract is for 3.5 years, including the base and three option periods. Founded in 1999, SoftDev is a leading healthcare IT company. The firm is an SBA-certified HUBZone and Economically Disadvantaged Woman Owned Small Business (EDWOSB).